Buzz Bingo lays claim to being ‘Britain’s biggest bingo club’, and with more than 100 land-based rooms and a thriving website – serving more than one million players – it might just be right. The focus, naturally, is on high-quality bingo gaming, but there’s plenty for casino enthusiasts to sink their teeth into as well. And if you want to really enjoy your hobby, Buzz Bingo also offers a raft of promotions and bonuses and a VIP programme, the Diamond Club, where you are rewarded simply for playing. Sound good? Let's see what else Buzz Bingo has to offer. Buzz Bingo is the re-branding project of popular bingo club Gala Bingo. The new platform is aimed at a new generation of bingo enthusiasts, providing them the 'buzz' of playing bingo. To bring their re-launch to live, Gala partnered with software provider Playtech. This means that the bingo platform does not only offer popular bingo games, but also some of the best slots in the industry, including DC branded games like Batman and Superman. Buzz Bingo has a modern looking website with few distractions apart from a moving banner on the top of the screen. The site is super easy to navigate as all bingo games, slots, casino games and promotions are divided into handy categories. Once you've chosen your favourite game type, you can filter the offering out even more by selecting a more specific game type or by searching a title. What's really great about the Buzz Bingo site is that each game has an information button attached to it. Hover over the image and click the ‘i’ button to reveal the title’s rules and more details about how you can win. If you get bitten by the bingo bug, then click on the ‘find my local club’ button. This will take you to a handy search engine, where you can type in your postcode or the nearest town or city, and find out where your closest bricks-and-mortar Buzz Bingo club is located. With games starting from as little as 2p per ticket, ranging right through to huge jackpot bingo where you can win life-changing sums of money, there truly is something for everyone at Buzz Bingo. You can choose between 75, 80 and 90 ball bingo in a trio of exclusive rooms – Buzz Bingo Blast, Value Bingo and the Newbie Room, where new players can try their hand at a number of games free of charge. The site also offers you the opportunity to play distinctive versions of bingo too, including Deal or No Deal, Age of Gods and Rainbow Riches. If you want a break from bingo, there are plenty of slots and table games to enjoy, too. Get your hands on one of the big progressive jackpot slots or try Buzz Exclusives, such as Lumberjack Cash and Juicy Fruity. For those who prefer instant-win games, there's a handful of scratch cards on offer. Bingo is a social game and Buzz Bingo knows this. Not only are there special rooms for newbies, but there is also a dedicated community page. On this page you can find the CM of the Month, Winners and how much Buzz Bingo has raised for charities like Marie Curie Cancer Care and Cancer Research UK. The promos page on Buzz Bingo is one to keep your eyes on. New players can earn a bonus worth up to £30 just for signing up and making a deposit, plus ten free spins on the slots, while all players can take advantage of a range of fun promos that includes free games, prize nights, one-off jackpot games and much more into the bargain. Players can manage their funds using MasterCard, Maestro, VISA and PayPal. This list is slightly limited, but not bad at all, seeing it's a brand-new bingo site. On the plus side, the minimum deposit is only £5 and withdrawals are usually processed within 2 days. There are plenty of ways to contact the friendly support team should you have any problems or questions. There is a live chat and help button available on the bottom of the page at any time. In the FAQ section you will also find other ways to contact Buzz Bingo, including email, phone, post or a visit to one of the land-based bingo clubs. With exclusive bingo games, plenty of casino options and a wealth of promotions, Buzz Bingo ticks all the boxes. While there is no app available, the website looks amazing and is very easy to use on any device. 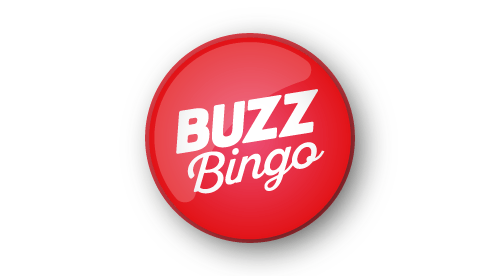 So go on, see what the buzz is about at Buzz Bingo!